If you are looking for a bid or estimate, or want to talk to somebody about a current project, please contact us by telephone. To connect with specific employees via email, click on their images below. Connect with us on LinkedIn. We frequently post information, updates, and features about our company on our page. Connect with us on social media to stay up to date with all updates, photos, and more that come from Quality Insulators. 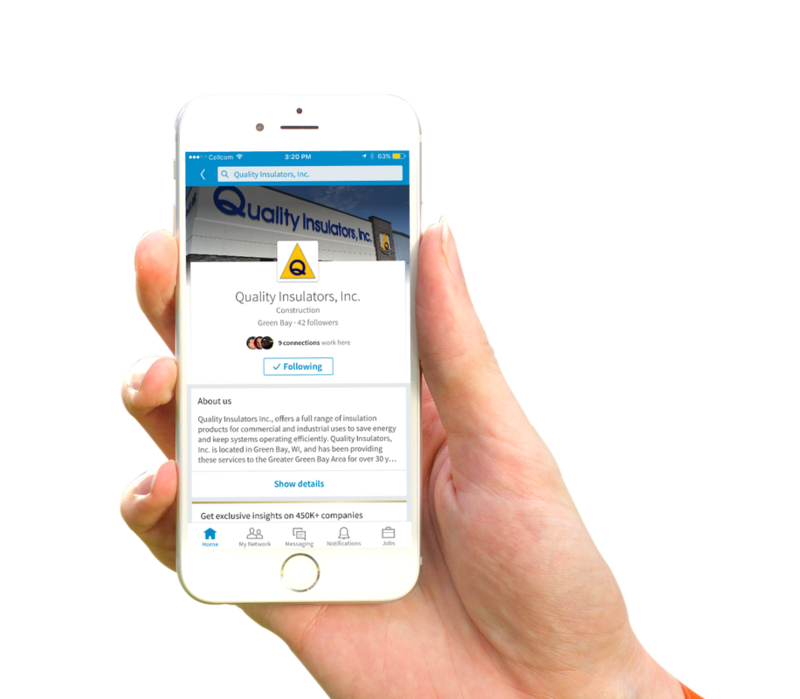 Our LinkedIn page is a great resource to connect with our company. Quality Insulators is run by a leadership team devoted to excellence, safety, and service. View their images below and click on them to access their contact information. We pride ourselves on treating our employees and customers with the care and respect they deserve.